Eshat Hasankolli (right) hosed down some of the sculpture to bring out the colors of the rock at the 5th annual open house. 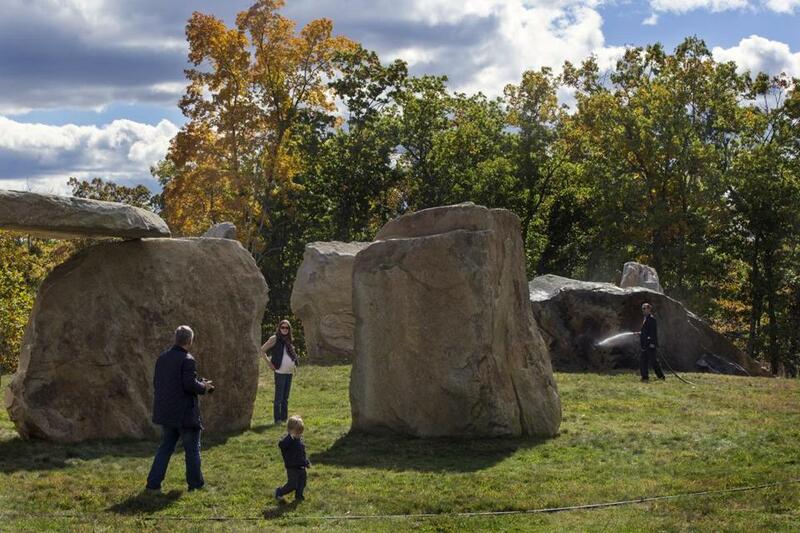 One day each year, artist Edward Tufte opens his Hogpen Hill Farm in Woodbury, Conn., and its 234-acre landscape sculpture fields to the public. It is wild, whimsical, grand, and incredibly beautiful, with sculptures ranging from stainless steel surfaces reflecting every nuance of light, to lacy stone walls and silent boulder megaliths. Tufte is also known as a genius of data visualization, professor emeritus of political science, statistics, and computer science at Yale, an author of books on information design, and a hater of PowerPoint. 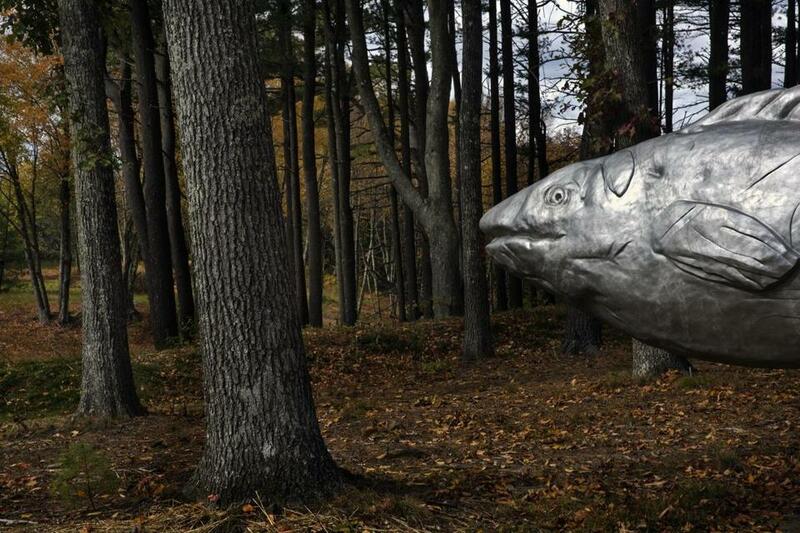 Magritte's Smile, a 12-foot-long fish cast from aluminum, is a work Tufte made with Penny Humphrey. 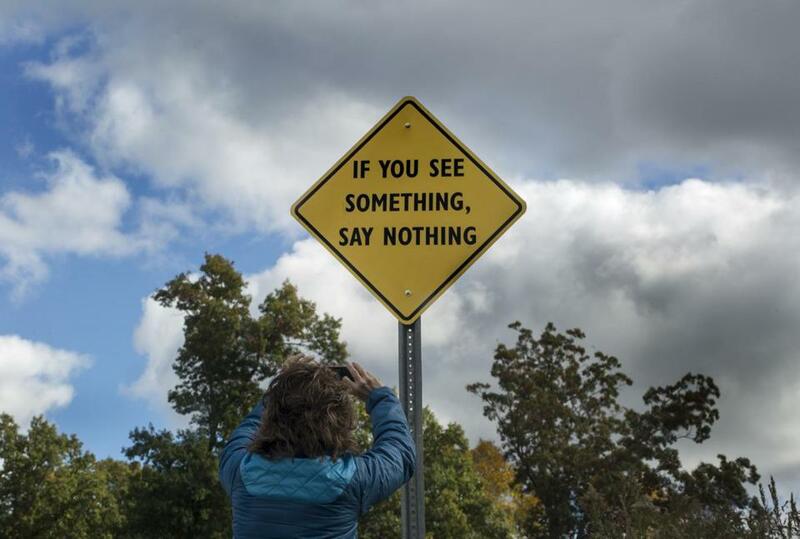 On the road up the mountain to Hogpen Hill Farms are signs of art. 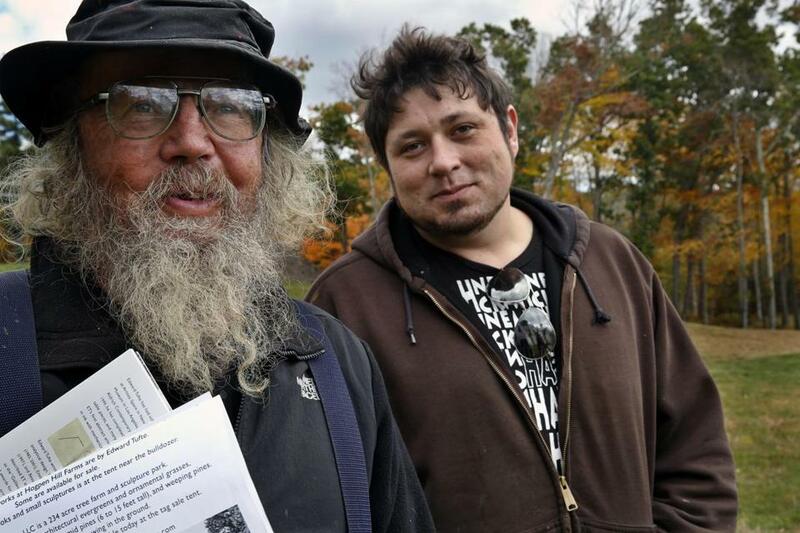 George Frick (left) and Joe McCarthy, a Connecticut artist who created a homage to Cadillac Ranch, visit Tufte's place. 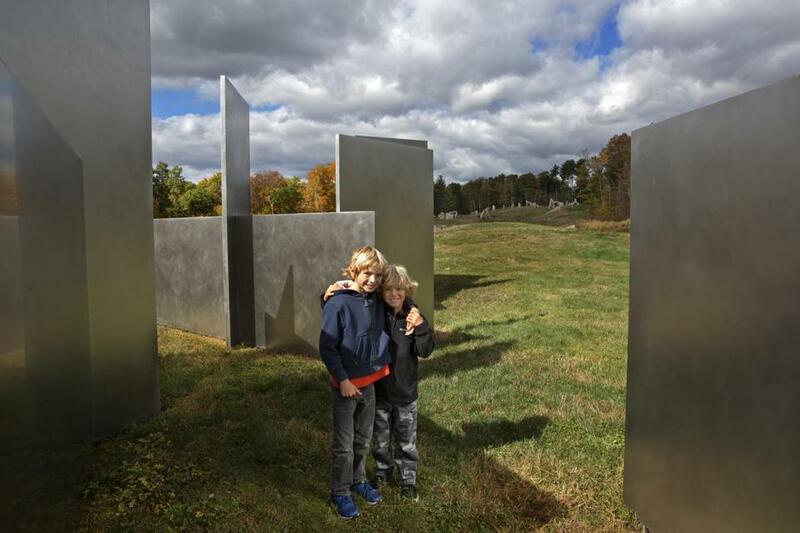 Brothers Magnus, 8, and Thor Manley, 6, of Ridgefield, Conn., at the stainless steel artwork, Escaping Flatland. 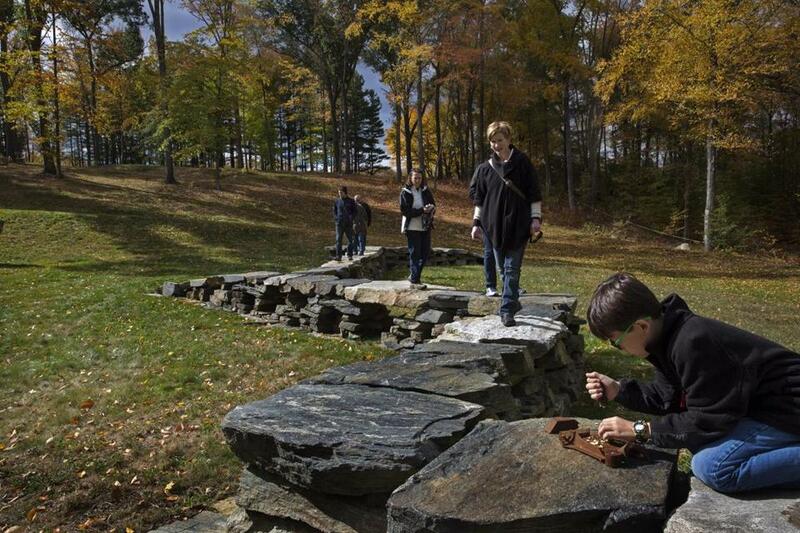 Ryan Shugrue-Kirby 9, of Woodbury, Conn., smashes some acorns on the Walking Wall sculpture.